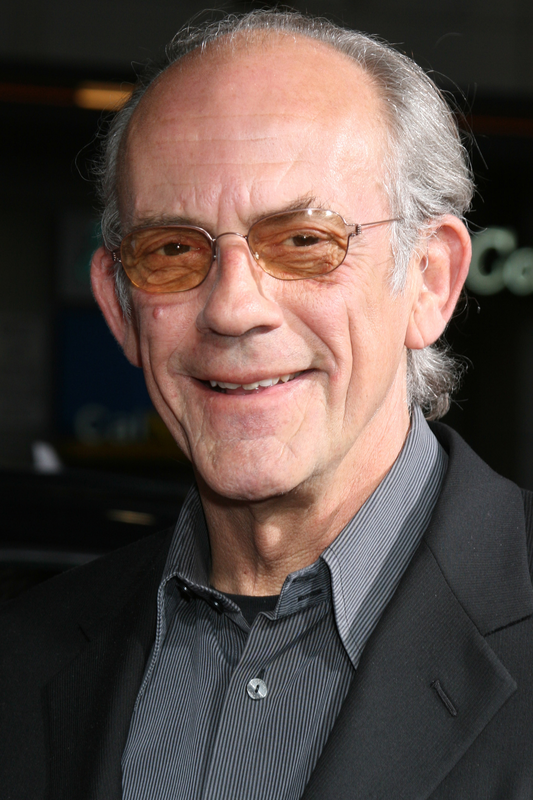 Philadelphia, Pennsylvania -- January 12, 2016 – He may be best known to Wizard World fans for his iconic portrayal of "Doc Brown" in the Back to the Future trilogy, but Christopher Lloyd's career spans 40 years, with 200 roles from blockbuster films like The Addams Family and Who Framed Roger Rabbit to classic series like "Taxi." The prolific Lloyd will make just his third Wizard World appearance, June 3-5 at Wizard World Comic Con Philadelphia, where he will join two of his Back to the Future co-stars, Michael J. Fox and Lea Thompson, who were recently announced as additions to the celebrity roster at the Pennsylvania Convention Center. Some of Lloyd's other top credits include Dennis The Menace, Angels in the Outfield, To Be or Not to Be, Clue and Star Trek III: The Search for Spock. He also voiced “The Hacker” in the long-running animated series “Cyberchase” for the past 13 years. Lloyd has won three Primetime Emmy Awards (two for "Taxi," one for "Road to Avonlea") and an Independent Spirit Award, and has been nominated for two Saturn Awards and a Daytime Emmy Award. Fox (who will appear on June 4 only), Thompson (who will attend on June 4 and 5) and Lloyd join a select group of celebrities already committed to attend Wizard World Comic Con Philadelphia, including Norman Reedus ("The Walking Dead," Boondock Saints), Sean Patrick Flanery (Boondock Saints, "Dexter"), Billy Martin (Lead Guitarist/Keyboardist - Good Charlotte, Artist - TMNT New Animated Adventures), James Remar (“The Warriors,” “Dexter”) and Jason David Frank ("Mighty Morphin’ Power Rangers"), with many more to be announced. Wizard World Comic Con events bring together thousands of fans of all ages to celebrate the best in pop-fi, pop culture, movies, graphic novels, cosplay, comics, television, sci-fi, toys, video gaming, gaming, original art, collectibles, contests and more. The ninth event currently scheduled on the 2016 Wizard World calendar, Philadelphia show hours are Thursday, June 2, 3-8 p.m.; Friday, June 3, noon-7 p.m.; Saturday, June 4, 10 a.m.-7 p.m.; Sunday, June 5, 10 a.m.-5 p.m.
For more on the 2016 Wizard World Comic Con Philadelphia, visit http://wizd.me/PhiladelphiaPR. Wizard World, Inc. (www.wizardworld.com) produces Comic Cons and pop culture conventions across North America that celebrate the best in pop-fi, pop culture, movies, television, cosplay, comics, graphic novels, toys, video gaming, sci-fi, gaming, original art, collectibles, contests and more. A first-class lineup of topical programming takes place at each event, with celebrity Q&A's, comics-themed sessions, costume contests, movie screenings, evening parties and more. Wizard World has also launched Wizard World Store (www.shopwizardworld.com), CONtv, a digital media channel in partnership with leading independent content distributor Cinedigm™ (NASDAQ: CIDM), and ComicConBox™ (www.comicconbox.com), a premium subscription-based monthly box service. Fans can interact with Wizard World on Facebook, Twitter, Pinterest, Instagram and other social media services. The Wizard World 2016 schedule is available at: www.wizardworld.com/wizcon.html.